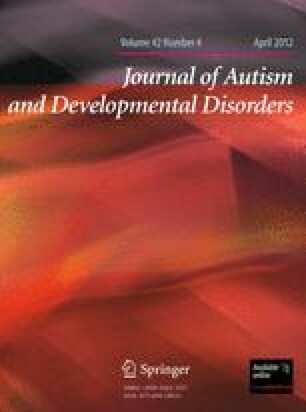 This study examined changes in the administrative prevalence of autism spectrum disorders (ASD) in Utah children from 2002 to 2008 by record source (school and health), age (four, six, and eight), and special education classification. Prevalence increased 100% with 1 in 77 children aged eight identified with ASD by 2008. Across study years and age groups rates were higher when health and school data were combined with a greater proportion of cases ascertained from health. The proportion of children with both a health ASD diagnosis and a special education autism classification did not significantly change. Most children with an ASD health diagnosis did not have an autism special education classification. Findings highlight the growing health and educational impact of ASD. This work was partially supported by funding from the Utah Department of Health and Utah State Office of Education. Special thanks to Marc Babitz, Paul Carbone, Nan Gray, Harper Randall, Robert Satterfield and Nan Streeter. U.S. Census Bureau. (2009). 2009 American community survey. Table R1105. Retrieved October 15, 2010, from http://factfinder.census.gov/home/saff/main.html?_lang=en. American Psychiatric Association. (2010). DSM-5: The Furture of psychiatric diagnosis. Retrieved from https://www.dsm5.org/Pages/Default.aspx. Governor’s Office of Planning and Budget. (2001). Top ten Utah census 2000. Retrieved October 18, 2010, from http://governor.utah.gov/dea/Census2000Data/TopTen.PDF. Hamilton, B. E., Martin, J. A., & Ventura, S. J. (2009). Utah has the country’s highest fertility rate in the country. National vital statistics reports 57 (7). Retrieved January 20, 2010, from http://www.cdc.gov/nchs/data/nvsr/nvsr57/nvsr57_12.pdf. National Archives and Records Administration. (2010). Code of federal regulations. Retrieved from http://www.access.gpo.gov/cgi-bin/cfrassemble.cgi?title=200034. Office of Special Education Programs. (2008). Part B –trend data report for states and outlying areas, 2003-04 through 2007-08. Retrieved from https://www.ideadata.org/default.asp. Office of Special Education Programs. (2008). Profiles of parts b and c programs in states and outlying areas. Retrieved from https://www.ideadata.org/default.asp. Utah Department of Health. (2010). Center for health data, indicator-based information system for public health. Retrieved September 1, 2010, from http://ibis.helath.utah.gov. Utah State Board of Education. (2010). Special education rules. Retrieved October 18, 2010, from http://www.schools.utah.gov/sars/DOCS/law/finalrules.aspx.